If you’re overworked and can’t afford to hire an assistant, an intern or two might seem like a good solution. You get some free or low-cost help and they get some valuable experience. But here’s the catch: Interns don’t always mean less work. Taylor, one of my editors, started as an intern at a business magazine several years ago. Throughout her “sink or swim” internship (as she called it), she received very little training or guidance, but somehow made her way into a job. Initially, the idea of being able to offload some of her work intrigued her, but her reality was quite different. “It took me more time to teach them how to do the work than for me to do it myself,” Taylor said. This brings up a good point: Many companies haven’t thought about how they’ll manage their interns. They don’t consider how the interns will learn the ropes. And from the interns’ point of view, if the person they’re working for is disorganized, unapproachable, or mainly uses them to get lunch and answer the phone, they wind up feeling frustrated and exploited. Naturally, when they share their experience with their network, it’s likely they’ll be discussing the uselessness of the internship. Not the impression you want to leave. Create an intern manual: This can include everything from the hours of operation to step-by-step procedures for doing the daily assignments. It will lessen the time the interns spend hovering around your desk. If they still hover, refer them to the manual. Find the time to help them grow: At least twice during the internship period, sit down with them individually and give them an assessment of how they’re doing the job. Let them know where they shine and what they need to work on. This feedback is invaluable for young people starting out. Show them appreciation: Welcome interns on their first day with coffee and doughnuts (or fruit and nuts, for the healthy ones) and sit down with them to go through the manual and explain their tasks. (If the workday is too busy for this, have them come in before office hours.) 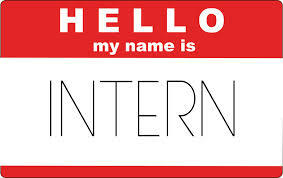 At the end of the internship period, take them out to lunch or bring food in. And give them advice and contacts that can help them find a job after graduation. Ultimately, the degree to which they are a hindrance or a help is dependent on whether they know – and can do – what you what’s expected of them. The more effort you put into helping them succeed at your company, the more helpful they will be to your company. Join the Conversation: What is your best advice for dealing with interns? For more tools on provoking your greatness, go to www.mistiburmeister.com and sign up for my newsletter! Thanks to Dexter Britian and Gillicuddy for their music contribution and LN Lurie for producing this podcast.